Hard times: Queensland farming communities are battling their third year of drought. A SIMPLE prayer or message of support provides a “huge boost” to the morale of Queensland parishes suffering under the grip of severe drought. Townsville diocesan administrator Fr Mick Lowcock said parishioners in areas such as Julia Creek, Hughenden and Winton gained hope just from knowing there was someone out there who cared. “If they know there are people out there saying a prayer for them during Mass, even a card in the mail from a fellow parish showing support gives people hope and they can go on,” he said. Mt Isa parishioners Patricia and Mark Fennell know the truth of this so well. They spent many years on the land before retiring and still have children, grandchildren and extended family on properties in several areas including places such as Boulia and Winton that are heading into a third year of drought. Mrs Fennell said local parishes were praying for friends in drought areas and for those who had lost their jobs, and she echoed Fr Lowcock’s call for prayer support from the rest of the country. “I’ve said to some of my friends still on the land, ‘Are you praying for rain?’ and they say, ‘No, the rain will come when it is our turn; what we are praying for is the strength to wait for that rain’,” she said. 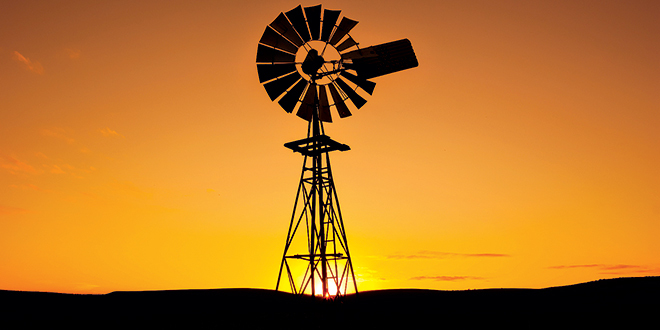 The Courier Mail reported recently that small towns in Queensland’s north-west were “under threat of extinction” as the worst drought on record hit the area. It quoted Fr Lowcock as saying the financial pressures on families in places such as Julia Creek were unprecedented as community support systems collapsed. He told The Catholic Leader there was no easy fix for the current problems that extended further than just being able to put food on the table. “These are good people; they don’t need much but these people don’t ask for help,” Fr Lowcock said. “We know the banks have been told not to foreclose at the moment but what happens when the rain comes and there is the need to restock? Fr Lowcock said although the drought was into its third year all the area needed was about 300mm of rain each year, as it did not take much to bring the country back to life. “We need about 12 inches (300mm) of rain a year – and that is not much in places over near the coast – but here, in places like Cloncurry, it is as though the land is just sitting there waiting and as soon as you get rain it comes alive,” he said. Mrs Fennell agreed, saying that within two days of the first storms, there was a green bloom beginning to highlight the land. “I don’t know how those seeds survive the heat and the dry but they do and they are just waiting for that rain,” she said. Mrs Fennell said while it was tough, farmers were “a stoic breed with great inner strength”. “They will tell you that times are tough but that there are others out there worse off, such as refugees who had no food or a roof over their heads. Mrs Fennell said most would find the positive even when talking about the heartbreak of having to destock.